Industry, immigration, and urbanization characterized Connecticut in the 19th century. After the Pequot War, New settlers and speculators sought to establish new towns from the colony’s undistributed lands. In the Great Awakening, impassioned evangelical ministers attracted crowds of thousands and the General Assembly promptly banned traveling preachers. Connecticut in the 1830s was characterized by a move from agriculture to industry, and the loss of residents to westward migration. 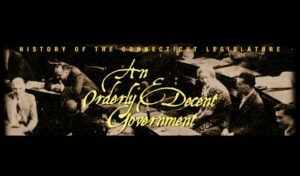 In 1873, the legislature began to look more closely at the problems of Connecticut’s workers. After the Civil War, arms manufacturing kept Connecticut industries busy, but an economic depression in the 1870s drastically changed things. In the years following the Civil War, Connecticut’s transformation to an urban, industrial state intensified.